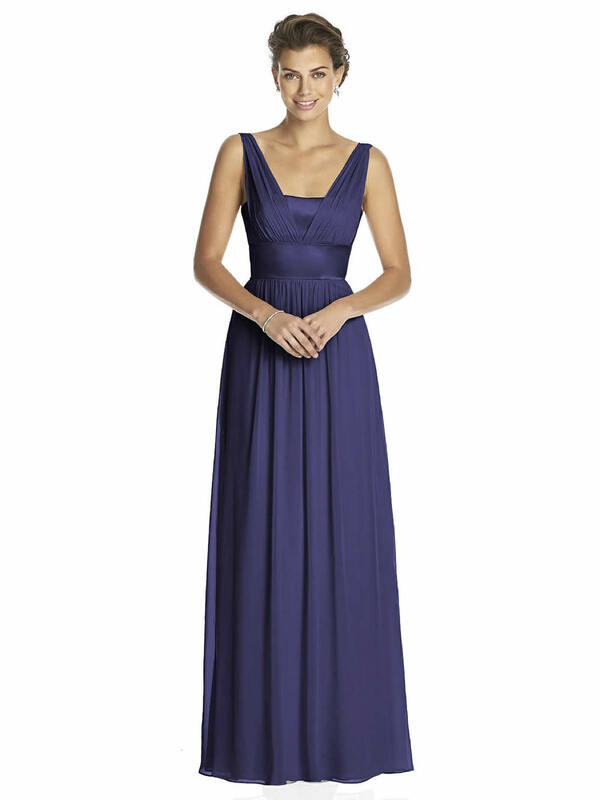 Full length lux chiffon dress has V-neck and matte satin bodice. Matte satin waistband and slight shirring at front skirt. Sizes available: 00-30W, and 00-30W extra length.